Help the Friends just by buying groceries! 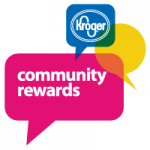 We have signed up for the rewards program through Kroger as a way to earn money for the library, and we hope you will help!It’s very easy to register: Just go to http://kroger.com/communityrewards and click on the “register” link on the home page to create an account, and follow the online instructions. To find our organization, search for “FRIENDS OF THE ORION TOWNSHIP LIBRARY” or “RH605.” If you have a Kroger Plus card, you will need that number. If not, one will be issued to you. Then, every time you shop at Kroger using your card, you will be helping the library. The Friends will receive a check quarterly from Kroger with a percentage of sales. We hope you will take a few minutes to set up your account!